Happy, happy Monday! Anyone in the mood for a patriotic layout now that it's August? I'm always up for red, white and blue. I hope you are too! After patiently posing for photos during our fourth of July holiday barbecue, Alexa got a little silly with her small flag and I couldn't resist snapping a few more photos. At first I didn't know what I was going to call this page, but then the title of the children's book A Bad Case of Stripes by David Shannon came to mind, and I went with it. This is soooooooo fun!! I love love love that photo, the cameras and the "laugh" frame!! super cute layout, love how you always add extra bits to your embellishments for added dimension! LOL very fun!!! Love it and all the fun goodies. Love how you work them in Lisa! the title too cute. great LO and cute photo! This is great! I absolutely love all the layering. What a fun and adorable picture. Love the enamel dots added to the hearts! This is just way too much fun! I've used the same line on several pages. Really like it. Lovely lovely! A fun, cute picture and I really love how that aqua color looks mixed in with the red, white and blue - love! Such a fun title and photo! 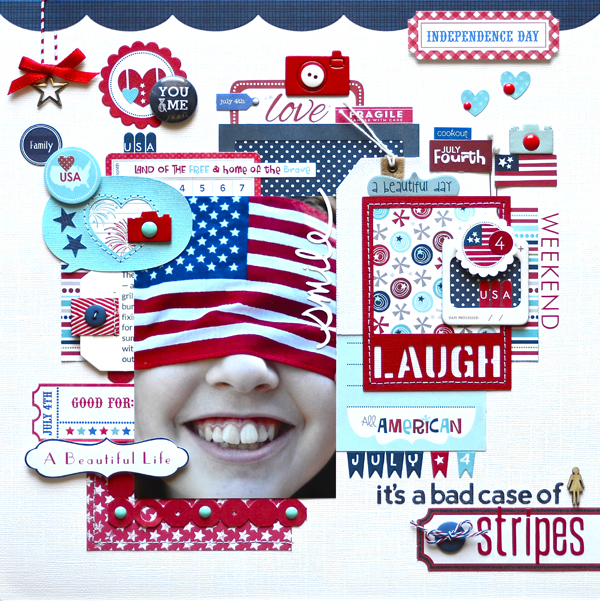 Loving how you tied the stripes all through the layout, this is such a great patriotic collection! OMGosh...LOVE your title!!! Fabulous r,w,& b page! cute photo, love how you used the all american collection! Fun layout..love the embelly bomb. Such a fun photo and page, Lisa. I love outtakes! I love all the layering and stitching. Great attention to detail. Beautiful! omgosh..this is amazing...so fun and embellishment perfection! 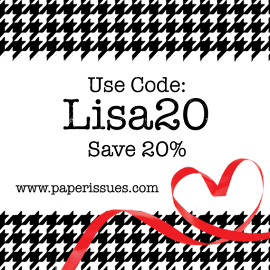 I love those great products!!! Ooh!! I LOVE this!! Just GORGEOUS Lisa! this is just amazing. I love the photo and I adore the details. What a great layout! OH i love allllllll the embellishments and what a gorgeous photo.. thanks for sharing. That photo is so cute!! And you rocked the Bella on this layout, Lisa!! Really love this! Saw this on FB - really liked it. Adorable photo. Fantastic photo and these Bella goodies are a perfect fit! This is SO cute! I love all the stripes, too! So much fun! Love all the bits and the beautiful red white and blue!